Officials in the Prince George's County Government have ignored a Maryland Public Information Act(MPIA) request sent by StopBigBrotherMD.org for now over 3 months. "1) Whether Prince George’s County has received requests by any municipalities in Prince George’s County to create new school zones or to expand existing school zones on county maintained roads since April 1, 2009. If so, I wish to receive copies of those requests. 2) Whether Prince George’s County has received requests by any municipalities in Prince George’s County for permission to use speed cameras on county maintained roads since April 1, 2009. If so, I wish to receive copies of those requests. 3) If any of those requests were accepted or rejected, I wish to receive copies of the letters or documents making the acceptances or rejections. 4) Whether since April 10, 2009 Prince George’s County has stated that there would be any exactions, fees, or that there would be additional requirements beyond those stipulated in state law article 21-803 and 21-809, either for the creation of new school zones or for the municipality to receive permission to use speed cameras on any roads. If so, I wish to receive copies of the letters or documents which stated this." In the request we mentioned that we believed the records were relevant to new legislation being discussed before the state legislature at that time, and that the public had a right to see them before that legislation was voted on. It was our interpretation that this legislation was intended to facilitate the creation of new school zones by Prince George's Municipalities solely for the purpose of using speed cameras, as had already been occurring in a significant number of locations. This interpretation is supported by the fiscal policy note which read "To the extent the bill results in the placement of additional speed monitoring systems in Prince George’s County, Transportation Trust Fund (TTF), special fund, and general fund revenues increase from penalties and court costs paid following a contested case under the bill, and TTF revenues increase from the collection of additional fees by the Motor Vehicle Administration (MVA) associated with the nonpayment of speed monitoring system citations." and "Revenues may increase significantly for Prince George’s County and any municipal corporation in the county that establishes a speed monitoring system as a result of the prepayment of fines in uncontested cases." However our emails and phone calls to some of the sponsors asking for clarification of the legislation's purpose went unanswered. A response was received from the DPWT's public information officer, indicating that the request WAS received stating the process the county's process for completing such requests. Under Maryland law, MPIA requests MUST be satisfied within 30 days. By April 19 (38days later) no documents had been received. By this point the legislation which originally prompted the request had passed the state legislature and was on its way for the governor to sign. The response we received was again from the DPWT public information officer, stating. "Your request was forwarded to the Office of Law. And, as such, I believe it then was forwarded to another county agency. I will forward your e-mail to the Office of Law for appropriate comment either directly to you or through me." However, by June we had STILL received neither the requested records nor any explanation for the delay. Another email was sent to Stephanie Anderson at the Prince George's County Office of Law on June 22 requesting that the records be released. More than a week later, we have received no response from Prince George's County for THAT email, none of the records, no explanation for the delay or reason for not providing the records. A quick google search turned up several other instances when Prince George's unreasonably held up MPIA requests. In one case in 2002 the Washington Post had to sue to have records regarding police shootings released. In another instance PG County Police refused to release records related to a botched SWAT team raid of the home of the Mayor of Berwynn Heights, in which his dogs were shot and his family held at gunpoint. In a third instance the County stalled for over a year releasing records pertaining to the number and duration of 911 calls, in that case the records were released only after loosing in court, appealing the decision, losing their appeal, and having the court hold the county official responsible in contempt. 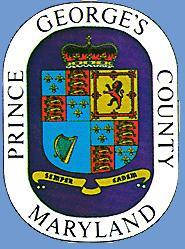 We are frankly a bit puzzled WHY Prince George's County would ignore the law in this particular matter. We've managed to obtain documents from other local govts through MPIA requests and released facts which were embarrassing to them, but ultimately they did not think it worth risking criminal penalties to withhold it. This request was basically only asking for the locations of new school zones, and the decision process behind them. One would think they would WANT people to know where new school zones are located. Are these SECRET school zones? 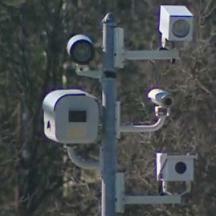 Is there a covert CIA run daycare center in the area which requires a speed camera for national security reasons? More likely the Prince George's Government is only in the interest of complying with open government laws when requests are made by compliant members of the press who will throw softballs and not question what they say. Well that's not us; we are watchdogs. And now that we know we know who is hiding something we know who requires the most watching.